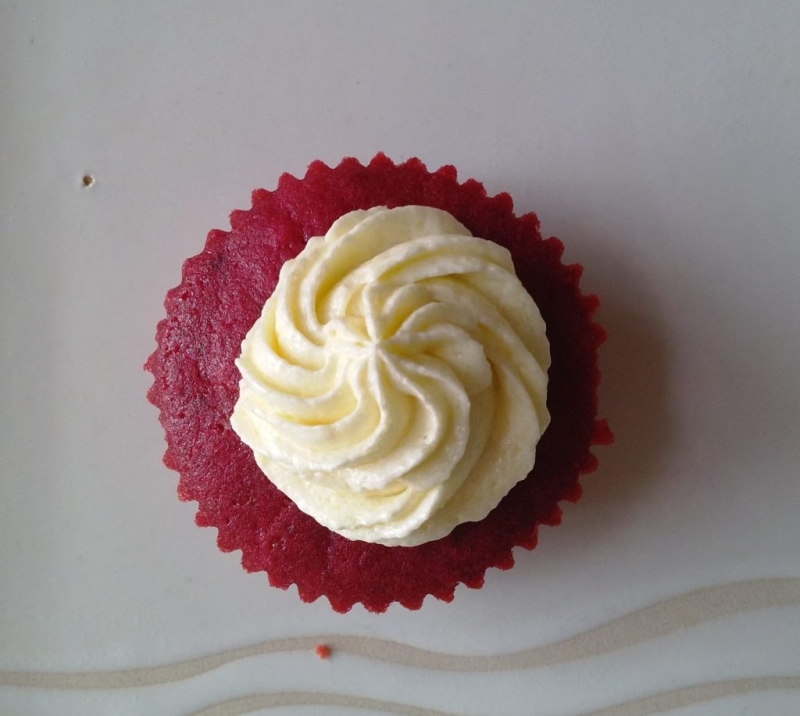 Although I don't understand why, there seems to be a craze over red velvet cake. I mean, it's just red colouring in a cake right? But a trend is a trend. And many, like me, can't figure it out. Anyway, I've tried making them at home, without the red colouring, and without much success either. 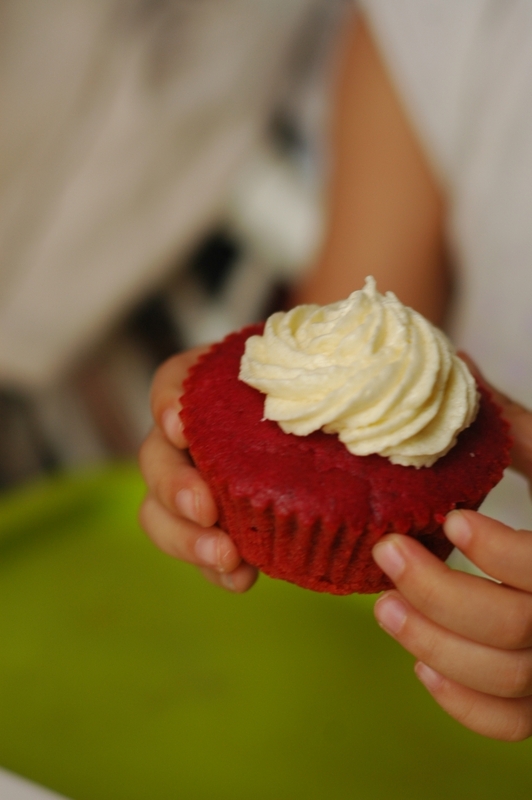 I'd have a nice red batter but end up with a dull brownish cake. 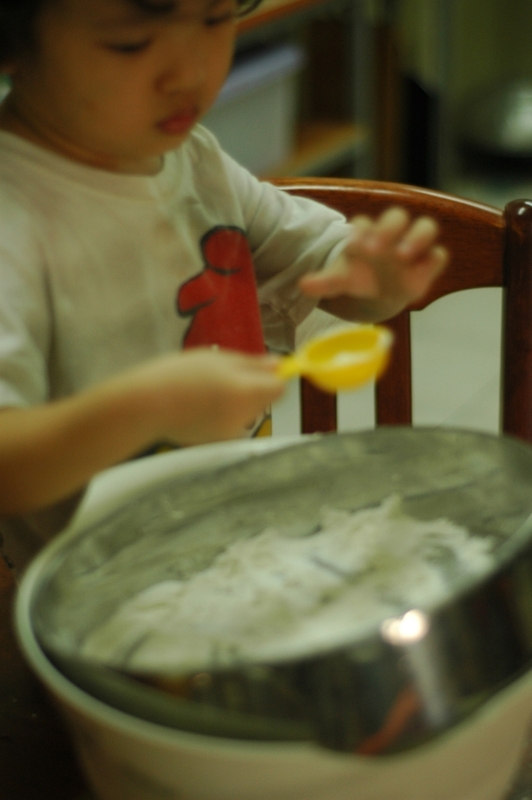 So it was a nice relief to find a simple, workable recipe from PlayingWithMyFood. I made some slight modifications, of course, and they still turn out great. Steam beet until soft, but not too long or the colour will fade. 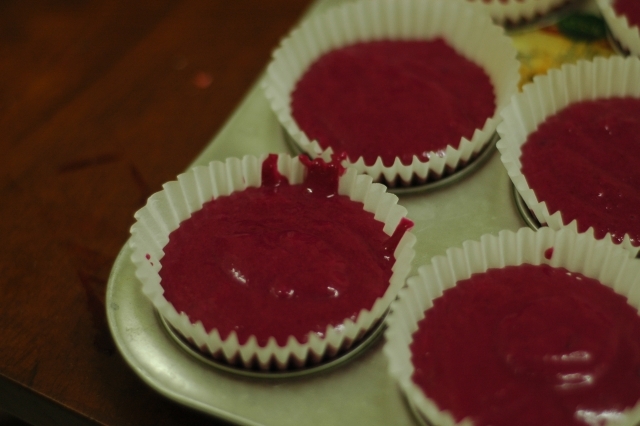 Cut the beet into small cubes and blend with enough water to get 1 cup puree. Whisk together beet puree, vinegar, sugar, eggs, oil, and vanilla in a large bowl. Stir in the flour mixture a little at a time. 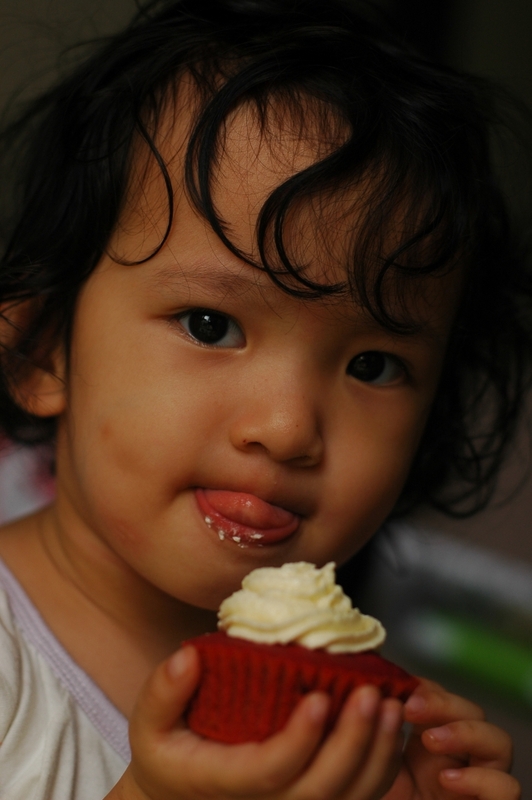 And here's how it looks like, topped with cream cheese frosting, on the hands and mouth of my little helper.